Before I can talk about the book Warrior Pose; A War Correspondent’s Memoir, I must first tell you about the writer, who was one of my first yoga teachers. When I met Brad Willis (now Bhava Ram), I was still shocked by motherhood and by my very challenging 15-month old son, who regularly bit me hard enough to break the skin, threw epic tantrums, and stole other toddlers’ toys. I missed my old life in Palo Alto, I missed living alone, and I didn’t like being a Navy Wife. I longed for old my job and resented that now, I was the one cleaning the toilets and dealing with this impossible child while my husband was off in Guatamala and Thailand and South Korea. One day, I was so overwhelmed by Oliver’s tantrums, with his hair pulling and his hitting, that I put him in his room behind his baby gate and retreated in tears to my own room, so I didn’t do something I would regret. Already I had done things I regretted and I needed help, which may be the two most humbling words in the English language. Bhava regarded me for a second and at first, I thought he was going to tell me to leave. Instead, he told me that I was doing more yoga while cleaning the toilets and taking care of my son than I would ever do on my mat. He said that the first person I needed to take care of first was myself and that of course there were things that we could do. He created a practice for me, full of forward folds and inversions, hip openers and gentle twists. The practice only took about 20 minutes and I did the poses in our moldy old apartment while Oliver napped. Every time I practiced, it was like visiting someone I wanted to be someday. And so I continued to visit Bhava and take what I thought of as his “lessons.” One day, he told me the story of the Bhagavad Gita. He told me about Arjuna, who didn’t want to fight in the civil war that was ripping his family apart and how Krishna told him his life depended on it. Finally, I did give up, or I began to, anyway, because it could be argued that I am still a bit of a curmudgeon. I kept signing up for his workshops because when I left them, I felt closer to the person I wanted to be than to that old self, who angered so quickly. I often cried during his classes, which was embarrassing, and once I did his 21-day Journey Into Yoga program, which was uncomfortable because as a group, we decided to refrain from alcohol and sugar. One day, during Journey Into Yoga, I stayed after a vinyasa class to wander through the studio’s boutique, looking at the soft yoga tops and the Ayurvedic oils that Bhava’s wife Laura makes. Bhava walked up to me, said hello, and smiled, which is to say his whole face lit up. “Hi,” I said back. “I just wanted to say that I see you,” he told me. I panicked when I heard this and felt everything become very still. Did he think I was shoplifting? I don’t remember what happened next because my eyes filled with tears and I had to turn my head away and stare at a bookcase for a while. This comment from Bhava was so unlikely and so surprising, although if he had told me this any sooner, I wouldn’t have been able to accept it. I moved my hand up to steady myself and I saw that it was shaking, that my entire body was shaking. I stood in the corner of the boutique for almost a minute trying to regain myself, grateful no one else was around, and then I left. I stepped out into the San Diego sunlight and felt lighter, as if I had gotten out of something. To read Warrior Pose is to have Bhava’s voice in your head too, and it’s a wonderful voice telling an incredible story. Bhava Ram used to be Brad Willis, a war correspondent for NBC, who used to work with Garrick Utley and Tom Brokaw (you can watch footage here). The first half of the book is a can’t-put-down account of his career from his start as a college student at Humboldt State, where one day, he walked into the local TV station and got a job as a reporter. He moves to Dallas and then Boston, where he interviews Oliver Tambo in South Africa, watches leaders of a drug summit in Cartagena do lines of coke after dinner, and covers child prostitution in Bolivia. Along the way, he breaks his back while trying to shut a window during a storm while vacationing in the Bahamas in 1986. Surgery is his only option, but because he doesn’t want his career to suffer, he opts to suffer instead, the pain increasing each year. While he’s in Kuwait, covering the Gulf War in the early 90’s, his pain is constant, and becomes another character in his book: Pain and what Brad Willis does to avoid feeling it. The introduction of the book states that Warrior Pose is a story about all of us, and while I was doubtful at first, underlying Willis’ crisp pose is a mythology that makes this statement true, in the way that all myths are about the indomitable spirit of the human heart. Willis’ career takes off while in Kuwait, and I stayed up much too late reading the detailed accounts of his experiences as pool reporter, which means he was chosen out of all international journalists to cover dangerous and high security missions and then bring his notes back to “the pool” of waiting journalists. He bribes a Sunni guard and sneaks into northern Iraq, where he is later airlifted into a Kurdish refugee camp. He drives through deserts that rain oil, and while embedded with the First Marines, he crosses human carnage so horrible, he finds the upper lip of an Iraqi soldier on his pant leg. Willis took a year leave from NBC to heal his back, which refused to cooperate. By Willis’ 50th birthday, he was confined to a bed or sofa or mobile lounge chair, addicted to pain killers and stout beer, which soothed his throat because guess what else? He had Stage IV throat cancer now too, likely a result from inhaling the toxic air during the Gulf War. Willis was pretty much dead man walking. What ultimately saves Willis is his love for his son, Morgan. When Morgan is two, he tells Willis to “Get up Daddy!” when Willis is unable to play with his son. Shortly after, Willis’ wife and friends stage a bungled intervention that nevertheless lands Willis in rehab and then in the San Diego Pain Clinic, where he discovers yoga. While the first part of Warrior Pose reads like a thriller, the second half, when Willis stays on his knees and then begins to rise, is more like poetry. Willis does not spare his ego and instead writes honestly about the harrowing climb up from the depths. What struck me the most was how small Willis allowed himself to become, how broken he admitted to being. And yet there is nothing pitiful about this journey. After 7 nights in rehab, when Willis gives up all of his pain killers cold turkey – which reads a lot like a visit to hell – Willis begins at the beginning. 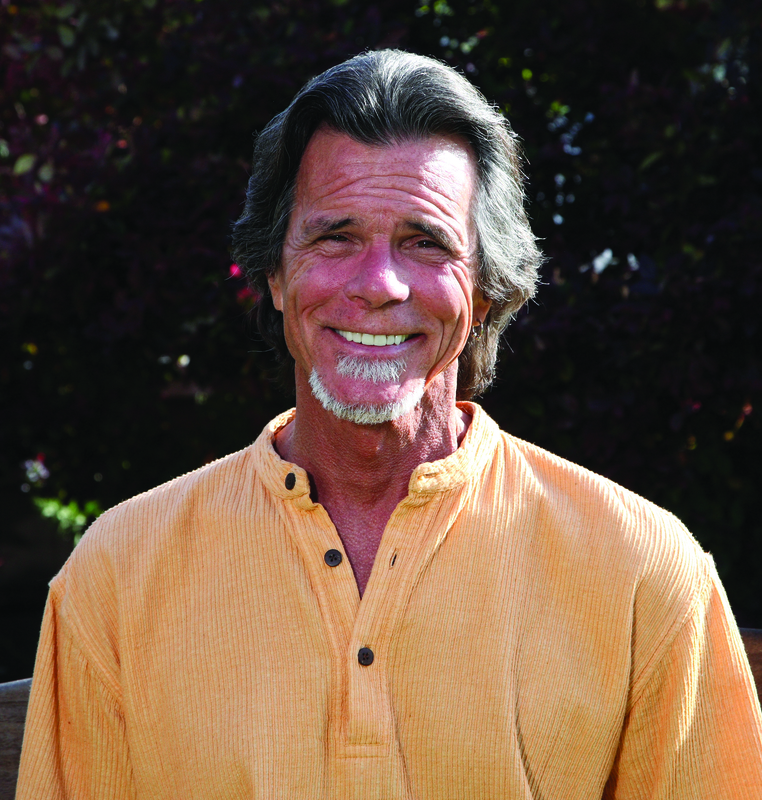 He takes a yoga class as part of his curriculum at the Pain Center which changes everything. This is it! he writes, and begins to study yoga with a startling velocity. At one point, he takes over 200 yoga classes in less than three months. Ultimately, Warrior Pose is less about becoming a yogi, and more about listening to an inner voice, which, it could be argued, is really the same thing. It is a book about a father’s devotion to his son and a tribute to what is available to us, if only we are able to receive it. I am giving away a copy of Warrior Pose to one commenter, which I will choose at random. I am also giving away five copies of Bhava’s Gayatri Manta, which he performs with Hans Christian and Donna DeLory, Madonna’s former back-up singer. Bhava’s album is called Songs of My Soul. You can sample the Gayatri mantra and the album here or on iTunes. You are currently viewing the archives for July, 2013 at Walking on My Hands.